I GOT THE ABOVE IMAGE (color wheel) FROM HERE. I GOT THE IMAGE OF THE BLUE CIRCLE FROM HERE. Say marketing and you think of the 4 Ps: Product, Price, Promotion, and Placement (distribution and retailing). We also visualize marketing as a value delivery process, which includes messaging and generation of customer delight. Marketing also increases consumption of the marketed product or service by catalyzing the exchange process. Marketing is verily demand creation. During marketing messaging much of the focus in pharma marketing is on the words after all we are dealing with clinical data and experiences. We also play on visuals since a picture conveys a thousand words! However, many-a-times our choice of colors in the visual aid or leave behind literature is automatic. We do not debate much on it. We see a logic and make the color choice or subjectively zero on a color choice. Nevertheless, color is a very important consideration in marketing. Cipla has a family color for all its product lines - white. Himalaya had a characteristic yellow for all its product packaging and later on shifted to a green shade. This green is used in their marketing communication material and product packaging. Colors are also chosen on the basis of product nature. For instance, Glucart is a chondroprotective (a drug that protects the cartilage at freely movable joints like knee or hip joint) pharma brand with a color and design that goes along with the bone, which is the organ that Glucart protects. Choice of color is most often dictated by the product policy guidelines of the top management. a) Pick the color in line with the corporate color for all products (family color for all brands) - easy choice! c) Colors are selected on the subjective choices made by the powers-to-be in the organization (convenient choice!). For eg., certain company managements believe that a particular purple or blue is very lucky for their company and hence, they try to blend the purple or blue along with other colors in the product packaging or communication material. Colors are also selected on the basis of the limitations or possibilities of the printing machine or packaging material. Colors also have cultural implications. Green is favored when communicating to Islamic communities. White is the color of death in China but elsewhere it represents purity. Yellow is a sacred color in China but stands for sadness in Greece. Yellow and Red are very sacred colors among Hindu communities in India. However, globally the North American way of associating colors with emotions or thoughts are used in marketing and packaging materials, for eg., Red stands for passion, Yellow is cheer, Orange is warmth, Black is sophistication, Green is nature and cool etc. But one color is universally non-controversial - GOLD!! It invariably stands for something like a benchmark, premium and outstanding. Hence, the wordings THE GOLD STANDARD IN ANALGESIC THERAPY is used as a tagline when promoting products (here we apply it for an analgesic). Yellow, a related color, too is interesting - it invariably attracts. When you are driving and you see a yellow car or a person walking with a yellow dress, you invariably glance at the yellow color. Yellow is the color of attraction. Color based on cultural conditioning can attract or sometimes repel. Black is such a color. Some like it and some dislike the color. Cultural conditioning matters!! Colors are no doubt very subjective, however there are non-subjective issues of color in marketing. For marketers, there are bright colors and soft colors. They can be used in pharma marketing for providing the right effect. Bright colors are the colors that help capture attention. For eg., a prescription pad that is bright red or dark green when placed on the doctor's table will certainly get more attention than a light or soft color. The chief use of color is to get the attention of the prospect. Brightly lit shops with a shade of bright color will certainly get the attention. It is like speaking aloud. Colors need to be played with intelligently - using a blend of bright and soft colors to maintain balance and soberness. Doctors will certainly not appreciate garish use of color in promotional items although they will be warm to creative promo inputs with an interesting combination of colors. Contrast in colors too is vital. When dark blue lettering is used on milk white background it is obviously going to stand o-u-t. Contrast gives legibility and impels the viewer to see the wordings. Contrast is very important - red and yellow are very contrasting colors. Complementary colors are those that go well along with each other. A color wheel is used to pick complementary colors. Marketers and designers use a color wheel to create color combinations. A color wheel provides the primary colors (ie., red, yellow and blue), secondary colors, and tertiary colors. Brands are covenants of trust. Brands are not just words, a brand represents all other associations like the feel, color, emotion, and other experiences through the senses. Think Red. And you think of Coca Cola. Think Blue. And you think of Pepsi. That is the power of brand association. Repeated use of color in association with a brand creates powerful imagery and brand recall. Colors have affects on behavior of people. It is reported that use of red and orange in fast food restaurants makes people eat quickly and leave fast! For doctors and healthcare professionals there are some common clinical colors. They are white and blue. The word white coat is invariably used in association with a doctor. White coat hypertension means the rise in blood pressure of a patient when he sees a doctor in the white coat! Colors influence people and patient behavior!! Colors are powerful symbols in advertising and communication. 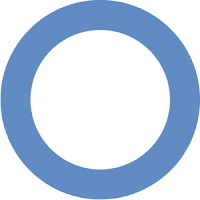 For instance, the International Diabetes Federation has created a blue circle - the diabetes symbol to give a common identity. This is a powerful use of color to convey a message and provide symbolism. This will in turn provide cues to people. There is also a concept of color therapy where color is used as a therapy. This is an alternative energy medicine concept. Colors for behavior change and healing! Colors in marketing are very important and the issue should not be brushed aside!! Thnks for reading this blogpost, please do scroll down and read all other blogposts, clicking on OLDER POSTS wherever required, kindly inform your acquaintances of this blog!